This is one of the largest continuous process steps. Test printing is an active part of press set up or make-ready. If the result of test printing is correct, the transition into the press run is seamless. Some of the process tools shown in this section are the same as those used in various other process steps. I n this section, we will explore how these tools affect the actual print. Off-contact gauges can be as simple as numbered shims (See Figure 31), or as complex as electronic induction gauges (See Figure 32) and dial indicator and clamp systems. (See Figure 33). Some of the best and most user-friendly gauges are somewhere in between, such as an LOC gauge (See Figure 34). In production, they are used for quick off-contact changes, off-contact verification and in normal press maintenance for leveling and parallelism. The tools range from manually operated grinders (See Figure 35) and knife cutting systems, to automated grinders and knife cutting systems (See Figure 36). 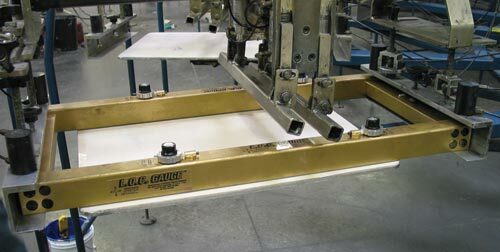 The only squeegee blades, which cannot benefit from a pass with a diamond hone (See Figure 37), are molded-edge blades. Even molded-edge blades will need to be resurfaced after use. These tools use loupes, light and a flat surface of at least 30 cm to 45 cm (12 inches to 18 inches). The machined-steel stock or granite plates are quite affordable (See Figure 38). 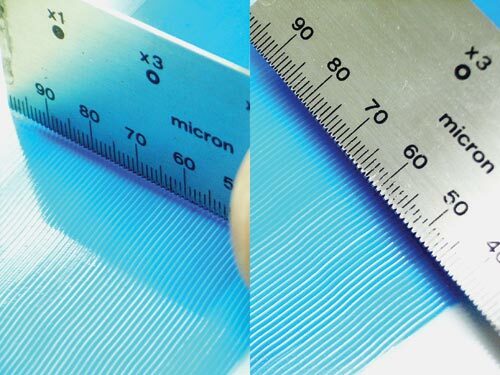 This can be measured by simple tools - ranging from "comb"-style gauges that are pulled through a wet print (See Figure 39), coil and roll-type gauges that are rolled through a test patch (See Figure 40) to optical surface tension gauges such as the "Pfund" gauge. Figure 32: Inductive electronic off-contact gauge (DeFelsco). The need for basic viscosity testing is primarily in graphic printing, while precision viscosity testing is necessary for industrial printing. The tools range from basic Zhan cups (See Figure 41) and calibrated oils - Ford (automotive), Parlin (DuPont), DIN and ISO cups for various specific ranges of inks and coatings - to advanced spindle and cone-plate type digital viscometers. There are basic hand tools that improve and simplify what you can do manually, such as specially shaped bucket wall and side-scraping, chemically resistant spatulas. Semi-automated motorized stirring units have a large range of impellors, each capable of operating on coatings and inks in a specific viscosity and volatility. (See Figure 43) There are blade-type ink shearing units, which mix and pre-shear inks to a print-ready state (See Figure 44), and shaker systems, which can accomplish a fair portion of what all of these tools do in a short time amount. 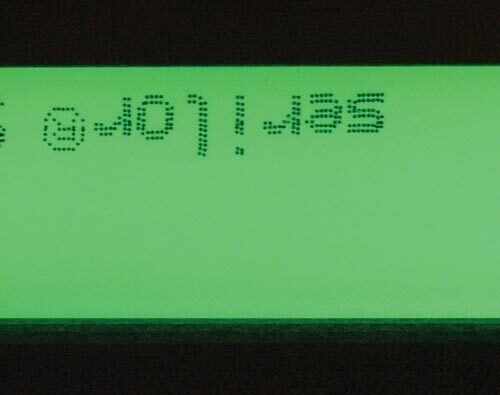 Scale and software products for mixing ink recipes: Products range from a basic digital scale to one with software to match the ink system. Most ink manufacturers provide scales and software that have built-in density and colorimetric knowledge of the inks you use. Figure 33: Dial indicator and clamp. The range of adhesion testers for cured inks (UV, plastisol and solvent) is large. 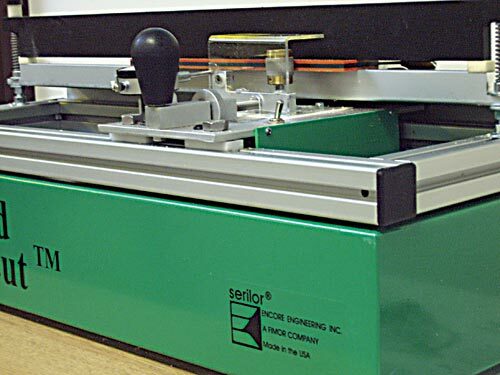 In most screen printing applications, the precision scoring blade tester is the most commonly used. 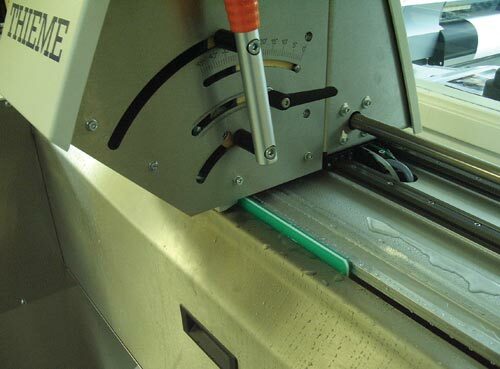 (See Figures 45A, B & C) In the industrial, "removable" adhesive arena, surface-cleanliness adhesion testers are used. They are available for most surface and coating types. In cost and result reliability, the range of dyne-level test materials includes felt-tip pens, flow tip liquid pens and liquid sample with swabs. 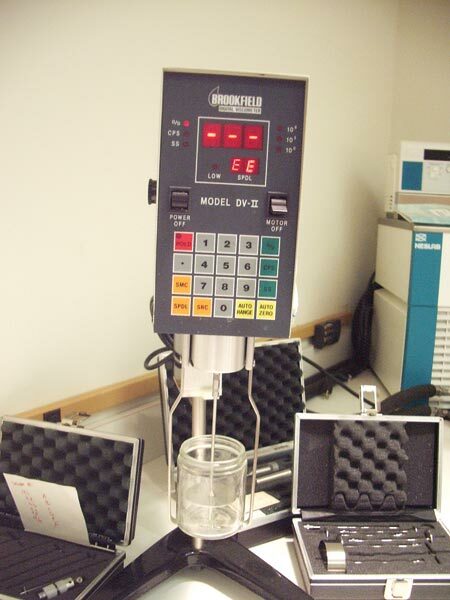 If you are a plastic, metal or glass printer, you should have some kind of Dyne-level test kit. The accuracy, range and repeatability of the kit you require will be dictated by the type and cost of inks, coatings and materials you use. 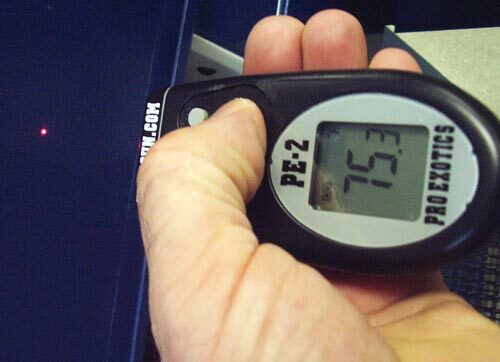 If you require daily dyne-level testing, you print on materials with low-surface energy. You should have a dyne set with a range that extends at least three levels above and below the minimum and maximum levels recommended for your material (See Figure 46). There are many forms of UV radiometers, from wired probes and wands for specialty object printers, to armored "pucks" that move on the conveyor belt (See Figure 47). These probes range from wired probes (See Figure 48) and non-contact laser temperature guns (See Figure 49) to disposable-heat change tapes (See Figure 50). They all work well within a tolerance. The one you'll need depends upon volume, equipment configuration and accuracy tolerance of the materials and coatings you use. Tools that aid in the uniformity of inks, screens, films and squeegees help to ensure the press settings will be the same on each job. Most presses require little if any changes or troubleshooting if these items remain uniform. Consistency in ink viscosity (using viscometers and Zhan cups) and ink color repeatability (mixing scale, software, densitometer and PMS book). Make sure that there is no requirement to make changes to the screen or film parameters to correct color on press. 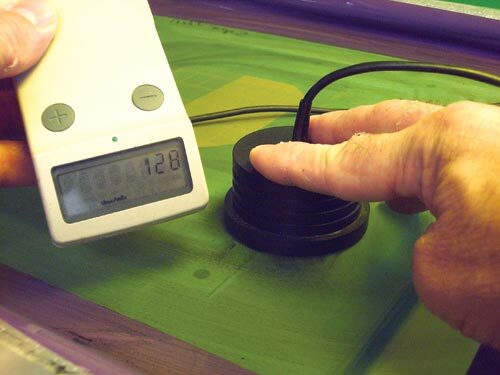 Keeping screen tension and emulsion coatings uniform and consistent (tension meter, Rz meter, exposure calculator, thread counting loupe and emulsion thickness gauge) will allow you to produce repeatable work with few if any changes to ink viscosity, color recipe or film work. 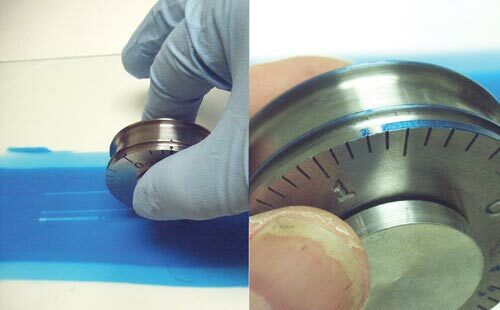 Even subtle changes in one parameter (such as screen tension or emulsion thickness) can require a change in ink, film or press speed in order to set up a press or finish a job in the allotted time. It also may also produce unacceptable results, making daily work repeatability difficult. 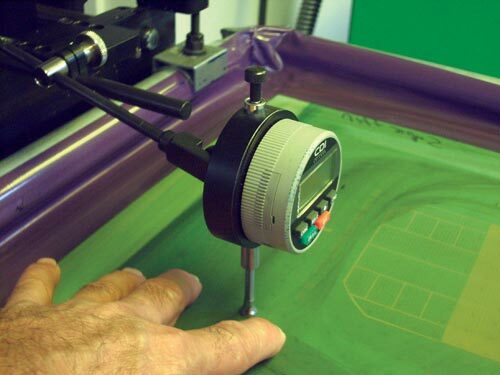 Once an initial test print or image strike-off after the setup has been accomplished and signed-off by the customer, the right inspection tools (loupes, densitometers, etc.) ensure color and registration stay true throughout the print run. This reduces waste and defects, guaranteeing printed pieces cost the same or less than what was quoted. This saves time and money. 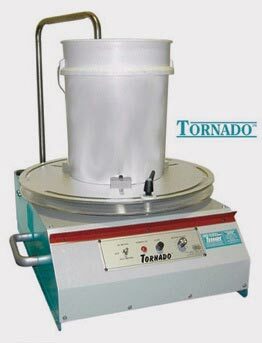 Figure 35: Diamond wheel squeegee grinder (Fimor). 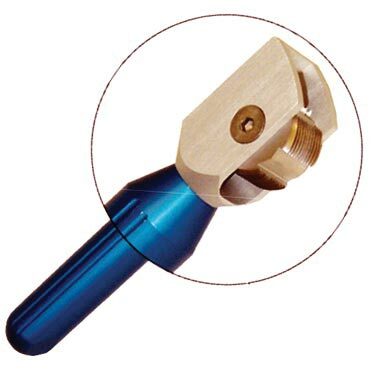 Figure 36: Rotary knife squeegee cutter (Theime). 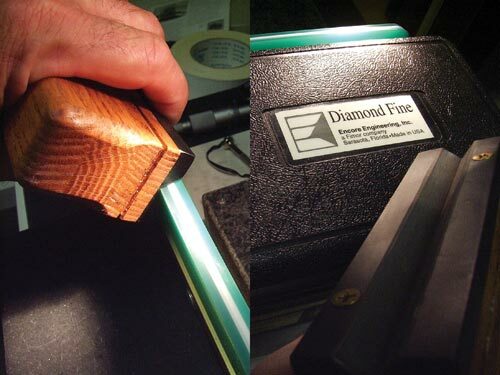 Figure 37: Diamond squeegee edge hone (Fimor). Figure 38A: Brand new blade showing uneven .005" (125µ)gap on granite surface plate. 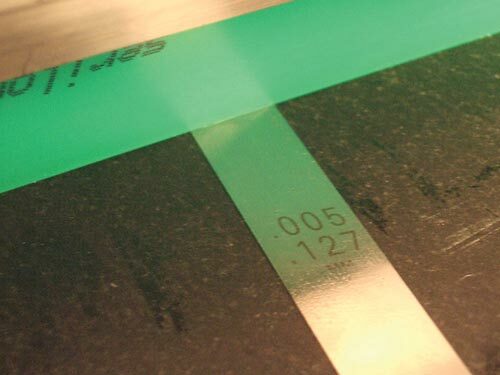 Figure 38(C): Backlit edge inspection on granite surface plate showing no unevenness after grinding/cutting. Figure 39: "Comb" style wet ink film thickness gauge (Gardco). Figure 40: "Coil" or "wheel" type wet ink film thickness gauges (Gardco). 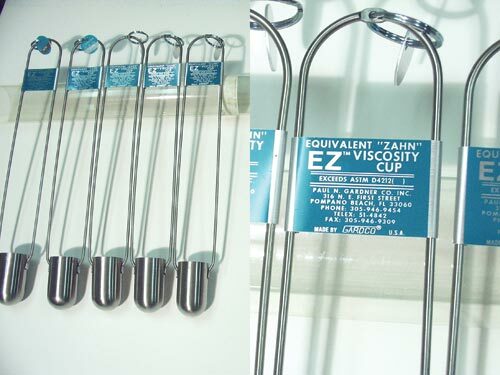 Figure 41: Zahn viscosity testing cups (Gardco). 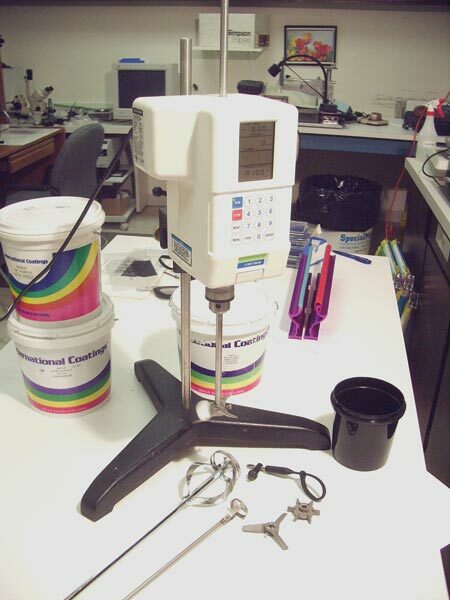 Figure 42: Digital, temperature controlled cup and cone viscometer (Brookfield). Figure 44: Stationary blade type mixer. 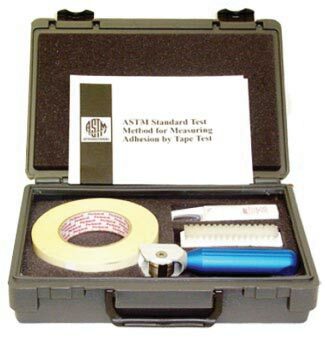 Figure 45A: ASTM certified cross-cut adhesion test kit. Figure 45B: Detail of cutter head. Figure 45C: Detail of cross-cut test patch. 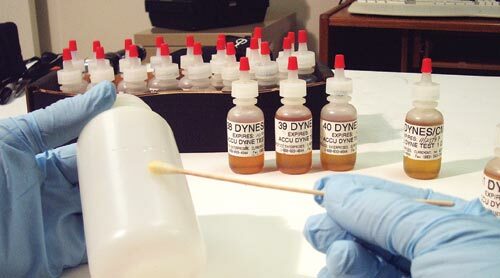 Figure 46: Dyne level test kit. Figure 43: Programmable ink stirring motor/mixer with attachments. Figure 47: Radiometer for UV curing units. Figure 48: Hardwired temperature probe. Figure 49: Laser temperature probe. 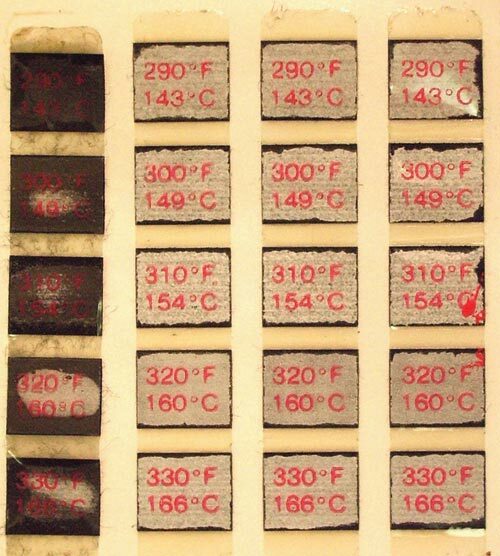 Figure 50: Temperature indicating tape strips. Saving time is what process tools are all about, whether you save time by setting up the press faster, running the press faster or making the screens faster. By making fewer press errors, printing fewer defects and not having to reprint, you save time. You save time by not remaking screens that were incorrect; preventing screens from reaching the print floor when they are incorrectly made; and catching film errors before they leave the art department. Saving time puts money in your pocket, and reduces overhead costs and labor. But how much time can you save? How much saved time will you require to get a return on your investment? Anyone who wants to help you calculate your ROI, but isn't an employee with your business, cannot do this accurately without spending time in your plant. Let's look at a calculation for a specific real operation to illustrate real world loss rates from an imprecise process. Because we are capturing the "true" process cost by knowing all of the components that go into that cost (not just the obvious ones), we can make a very quick and accurate assessment of how much money per hour, minute or printed piece the company may save. This will show how fast my ROI on the new tool will be and when it starts making money. When you do your homework on your own plant, the savings for your investment become obvious. Proposed new tools: Rz meter and emulsion thickness gauge. Original ROI time frame on main equipment and room cost: Four years at 248 production days of 10 hours each = 9,920 hours of production to amortize costs. Labor cost (two employees constant): Hourly rate of $13.50 each x 2 = $27-per-hour labor cost x 9,920 hours = $267,840 labor. Production load annually: 1,000 impressions per hour (three press combined capability) x 9,920 hours = 9,920,000 impressions maximum potential. Frame size and type: 30.4-cm-by30.4-cm (12-inch-by-12-inch) cast aluminum. Screen frame costs: $42 each. Lifespan estimate four years because of milling to strip mesh with a total of 44 stripping and milling cycles per year. This includes 44 annual re-mesh cycles per frame. Service costs: Adhesive ($1.18 per screen), mesh ($12 per screen), reclaim chemicals ($1.85 per screen), emulsion (57 cents per screen), block-out (2.5 cents per screen) and tape (95 cents per screen). Total screen cost: $16.57 + $42 = $58.57 per complete and brand-new screen. 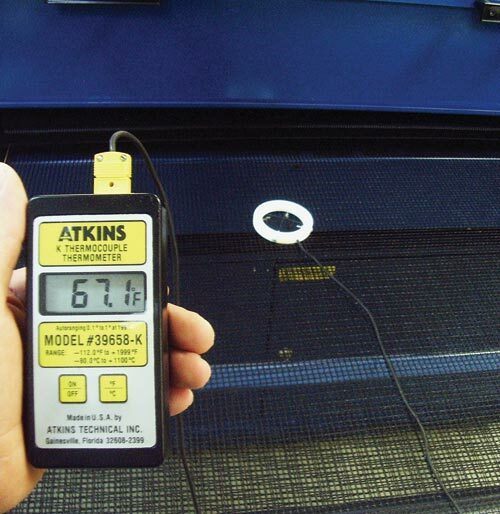 Reclaim, recoat and material costs per screen: $16.575 + $3.25 (sandblasting outsourced) = $19.82 per screen. Total screens used in ROI cycle: 248 days x 4 = 992 days at 12 frames per day = 11,904 screens in ROI cycle. Total screen cost per ROI cycle (48 frame loop): Initial 48 frames ($2,811.36). Remaining screens (11,904 minus 48 initial = 11,856 screens). 11,856 divided by 12 screens per day = 154.6 reclaim cycles at $16.575 each = ($2,562.495). 44 re-mesh cycles x four years = 176 cycles x 48 frames = 8,448 x $19.825 = $167,481.60. Exposure unit ($7,500), washout sinks ($5,200), pressure washer($2,300), light table($1,100), exposure calculator ($89), serivac ($250), measuring loupe ($725), frame racks ($850), frame carts ($675), drying cabinet ($3,200), mixing scale for adhesive ($1,800), screen stretching unit ($11,000) (six frames up) and small tool set ($185). Total: $34,874/992 days = $35.15 per day in equipment costs (don't forget interest on your bank loans). Square foot rental cost (45 cents per square foot x 1,100 square feet = $495 per month for this room). This overhead will depend on monthly lease or rent cost divided by total square footage to get cost per square foot per month. Multiply this cost per square foot by number of square feet in the production space in the ROI. You now know what this screen room costs in rent per month. Water at 500 gpd average x 992 days = 496,000 gals. At $42 per 3,500 gals = $5,951.99. Electricity: 7 kw per hour X 10 = 70 kwh per day x 992 day = 69,440 kwh at 12 cents per Kilowatt hour (peak load) = $8,332.80. Total: $14,284.79. Total Facility and Overhead Cost for This ROI: 48 months X $495 (rent) = $23,760+$5,951.99 (w) + $8,332.80 (E) = $38,044.79. Grand total of Combined Costs: $514,802.88. Divide this by 9,920,000 impressions at current maximum potential = .05189 cents per printed unit. There always are some costs that aren't captured. For example, I purposely left out consumable items, such as wiper towels. At an average cost of about 6 cents each with a daily use of about 100 in a screen room, these can be $5,952 of this screen room's total ROI cost. Small things add up quickly. Our two new pieces of equipment for this sample screen room are an Rz meter ($2,100) and emulsion thickness gauge ($1,250) for a total of $3,350. When this $3,350 is added for a total cost of $41,035.36, it seems to be a significant portion of the investment. This is where homework, process timing and modeling are important. The history in this example shop is that three of the screens used each day on average were short-lived failures because of variations in screen thickness. They bled too much or lost parts of the image during the printing process. This production facility can actually operate on only eight screens per day, producing a maximum 1,000 impressions per hour. This is a total of 992 days multiplied by four screens equals 3,968 screens that would otherwise not have been made. The total savings in screen reclaim materials will be: $3.395 X 3,968 = $13,471.36. Add to this $178.50 for electricity over four years (about 1.5 Kwh per day not used for exposure or pressure washer) and $488 worth of water. What also wasn't captured here are the 18 minutes of set-up time for each of the 3,968 screens that would not have to have been used (1,190.4 hours). The press operator pay rate in this plant is $22 per hour. That is a savings of $26,188.80. The grand total of savings that these two tools brought to this shop is $39,886.66 for an investment of only $3,350 in process tools. These are tools you cannot afford not to buy. This article appeared in the SGIA Journal, 1st Quarter 2009 Issue and is reprinted with permission. Copyright 2009 Specialty Graphic Imaging Association (www.sgia.org). All Rights Reserved.